Childhood Apraxia of Speech (CAS) is a very specific motor speech disorder that affects children’s ability to say the words they want to say. It is sometimes also known as developmental verbal dyspraxia. Children with CAS have difficulty planning and consistently producing sequences of speech movements using their tongue, lips, jaw, and palate. They often have difficulty making speech sounds voluntarily and find it hard to string these sounds together in the correct order to make words. This makes it hard for a listener to understand the child’s speech and prevents the child from producing speech that can be understood by others. 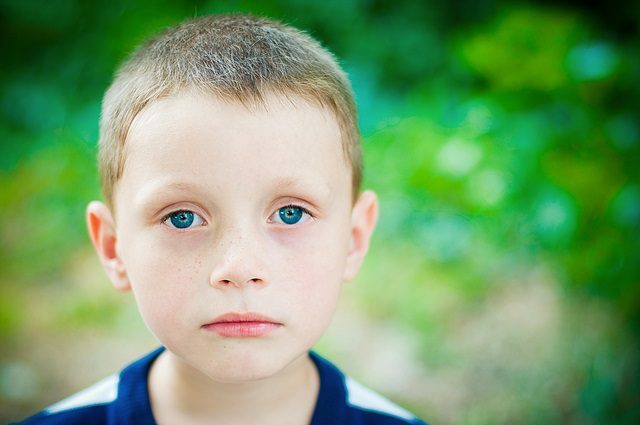 Sadly, many children who have CAS do not receive the support they need to resolve it when they are young and so this condition can continue to affect them in adulthood. When your child tries to communicate, the first thing that happens is that an idea forms in their brain about what they want to say. Their brain thinks of words for their message and puts the words in the correct order using correct grammar. Your child’s brain then translates this information into a series of highly coordinated movements of the articulators – the lips, jaw, tongue, and soft palate. The brain tells the muscles that control the articulators the exact order and timing of the movements needed for your child to produce intelligible speech. This is called a speech motor plan. How is this different for children with apraxia? Children with apraxia of speech may not be able to accurately and consistently produce speech motor plans. Their brain and body don’t work together automatically like other children’s do and this affects their ability to communicate, express their needs, learn and make friends. A diagnosis of CAS is a serious thing for any child and speech therapy is the best way to tackle it. have more difficulty saying longer rather than shorter words and sentences. Some very young children show signs that they may be having difficulty planning movements of their tongue, lips and jaw. young children who only use noises, gestures and vowel sounds to communicate. There is no “one-size-fits-all” program for apraxia, but experienced speech pathologists use a variety of therapy methods to support children as they learn to communicate. Children with apraxia benefit most from frequent one-to-one therapy and lots of repetitive practice with sounds, sequences and movement patterns at home. Many therapists recommend the use of sign language, picture communication systems and other augmentative or alternative communications. This combination of therapies (sign and vocal word attempt) usually enhances the chance that the listener will be able to understand the child, even if they are not yet able to talk in sentences. It is easy for a child with apraxia to become frustrated and it’s important for them to have successful communication experiences that will encourage them to work harder. For some children, visual cues (for example, pointing to lips for “b” sound) are a great way to teach them to use their articulators to produce a desired word. When the word and sign are consistent, the child begins to associate the visual image of the sign with the placement of the articulators. Your child’s speech pathologist will be able to guide you on the many techniques that can be used to support your child. If you notice that your child is experiencing speech production delays or problems with communication, please contact your doctor or consult a speech pathologist in your area. The experienced children’s speech pathologists at Kids First Children’s Services can also help you if you are local to Sydney’s northern beaches. Call us today on (02) 9938 5419 or email us to make an appointment with a member of our team.